Having a sudden crave for Korean food but low on cash? No worries as Korean Wang BBQ offers a great variety of authentic Korean dishes and BBQ at an extremely affordable price. 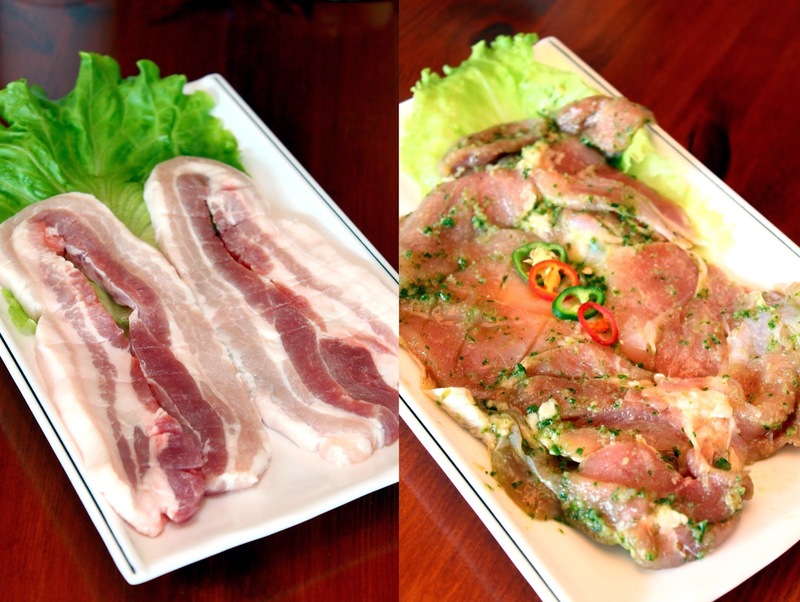 Located at the heart of SS2, where there are quite a number of established restaurants, comes the first inception Korean BBQ restaurant in the area. The entrance. Yes, I understand that the banner looks a little amateurish, but hey, it's very eye-catching! Of course, like many other Korean restaurants, Tteokbokki is a must! Though I don't consider it a main course as it felt more like an appetizer to me. Deliciously spicy sauce alongside perfectly firm cylindrical rice cake topped with a full boiled egg and some sesame seeds. Absolutely delicious! Using the previous statement, Kimchi Jigye is also a stew commonly found in Korean restaurants. Consists mainly of vegetables and tofu with some enoki mushrooms, the stew itself goes really well with short grained rice. There are several variations of Kimchi Jigye depending on where you dine but this for me, was light and flavourful. Now this is something new. In fact, it is extremely rare to find pork ribs done in such manner in a Korean restauarnt. Juicy and succulent pork ribs marinated overnight for that burst of intensity and flavour. Sweet, savoury and a tinge of spiciness. The additional cheese at the bottom and on top helps give that richer finish alongside helping to tone the spiciness down. As expected, in any BBQ restaurant, meat is extremely important. With the marination being secondary. What we have here were a plate of beautifully cut pork belly with layers of fat and a well marinated chicken thigh. Both ready for BBQ-ing. Of course, there are a lot more choices available but I believe these 2 were the best. as the pork belly has no marination or seasoning. It was simply just the belly, which was perfectly fine. The marinated chicken on the other hand, was bursting with flavours. Not only was it tender and cooked to perfection, it was melting with the chicken's natural juices. A compilation of what we had. Like in most Korean restaurants, the side dishes are refillable. Which is a great deal! I could simply eat the pickled onion and kimchi all afternoon. The other great thing about Korean Wang BBQ is the "eating without effort" atmosphere. As the raw meats are served, there will be a waiter who cooks everything for you to ensure everything will be cooked to absolute perfection. Furthermore, the use of high quality charcoal and the constant change of BBQ tray really helps elevate the service and dining experience of the place. Without a doubt, this was one of the best Korean BBQ restaurant that I've visited. In terms of pricing, variety, service and ambiance, it truly is worth every penny.